Traditionally, when people think of petitions, they think about the paper petitions that are handed out at meetings, in schools, on the street, etc. However, online petition building has changed the game for advocacy campaigns. Even more so, comprehensive advocacy software can help you with everything from building your petitions, to spreading the word, to making effective future decisions for your campaign. How will comprehensive software help me start advocating? How will advocacy software help me share my campaign? How will advocacy software help me make future decisions? 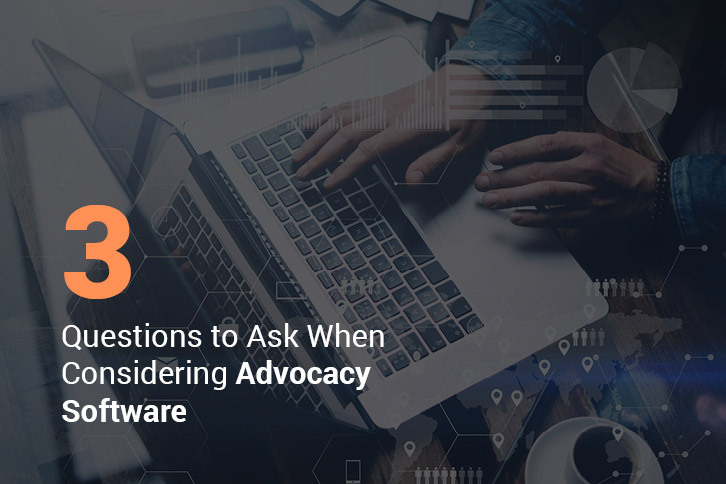 Conducting research to learn more about the functions of advocacy software, and how it has helped other causes, can help you determine if buying this software solution is the best decision for your cause. Let’s dive into the first commonly asked question about advocacy software! 1. How will comprehensive software help me start advocating? The launchpad for advocacy campaigns is more than often online petitions. Online petitions help you to gain the support you need to enact real change in the world. Comprehensive software has functionality to create these petitions so you can kickstart your online advocacy with a bang! The first aspect that software helps you with is the customization of your petition. Most people starting petitions are not web developers or any type of expert in computer science. Therefore, having a software that will help guide you through the process of creating an online petition is key to a successful campaign. Clearly defining your purpose. Your title should draw people in, but still give them a good overview of what your petition is for. Then, write the full explanation on your petition page. Be sure you don’t draw out this explanation too much, because you don’t want your supporters to feel bogged down on the page. Call your readers to action. A call-to-action can be anything from speaking with urgency in your description to including a button on which your supporters click to submit their signature. No matter what, be sure you are telling your readers that they need their voices to be heard immediately. Brand your form. Use your organization’s brand colors and compelling images in the same style as your website to make sure your readers know they are signing something that is going straight to you and that it’s not a hoax. This establishes trust in your brand for your readers and supporters. Creating an online petition is more than just having a list for people to write their name (as paper petitions once were). Instead, they are an opportunity for supporters to read more about your cause and sign up to help. When they sign your petition, online advocacy software allows you to add custom forms for their name, email, city, state, an opportunity to comment on the issue, and any other information you’d like to include. Access to this information can help you build a robust communication network through a CRM in order to reach out to them for more support in the future. Continue researching petition best practices before you create your own. A great next step would be SalsaLab’s guide to online petitions. 2. 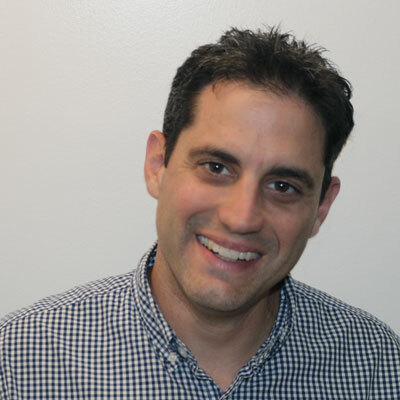 How will advocacy software help me share the campaign? Advocacy is all about spreading the word about your cause, so online sharing is absolutely essential to an online campaign. Because advocacy software is designed to ease the campaign process from start to finish, it makes sense that it also has digital advocacy strategies to help you reach out and spread your campaign across your network of supporters. Email. Email the supporters who have signed previous petitions on similar subject matter to inform them of a new opportunity to make a difference. Social media. Include social media buttons so your supporters can share the petition and show their support to their online network. When you can send an email directly from your CRM or mail merge platform, it makes it that much easier to spread your campaign to your current network of support. And including a social media button on the petition itself helps ease the process of your supporters sharing their own involvement. The great thing about this? Comprehensive advocacy software offers all of these features. In addition to reaching out to gain support through your advocacy software, it’s important that you and your supporters both reach out to legislators or business leaders to evoke the change. Tweet a representative. From within your software, you can encourage supporters to tweet their representative about the issue at hand and bring it to their attention. You can even add automatically populate the appropriate representative’s Twitter handle in the tweet with a template. Click to call. This advocacy strategy encourages people to call their legislators from their mobile devices. They simply enter their phone number on your target landing page. The supporter will receive a call where they are automatically connected to the appropriate representative. You can also include a script or talking points for them to follow. Targeted actions. Targeted actions are completed through landing pages, where your grassroots advocacy warriors input their information and send a message to the appropriate representative. Supporters can include their own commentary in these messages to make a personal appeal for the cause. Your outreach strategy depends on the type of advocacy you are trying to conduct: peer advocacy, where individuals appeal to other individuals; cause advocacy, in which groups of people raise awareness for a popular issue; and systems advocacy, where you try to enact systematic change. To read more about the different types of advocacy, and how they will affect your outreach strategies, check out Double the Donation’s advocacy guide. 3. How will advocacy software help me make future decisions? Once you get the ball rolling for your advocacy campaign, you need to stay on top of all of the important data in order to make the best decisions about next steps to take. How do you stay on top of these things? Advocacy software keeps all of the most up-to-date data from your campaigns in a single location, streamlining your reporting process. To take an advocacy road trip. Maybe your cause has gotten large enough that it’s time to take it on the road to gain even more support. Travel the state or the country to tell people about your mission and what they can do to show support. To start a nonprofit for your cause. Maybe the advocacy campaign helped to jumpstart a nonprofit organization where you can make an even bigger difference in the lives of your constituents. You can reach out to the supporters from your advocacy campaign for more support through donation requests. To make small adjustments in your current campaign. You may see that your targeted outreach is not as strong as it could be. For instance, if your targeted outreach to representatives could be improved, you may decide to include click to call advocacy in your campaign. Whether you use reports to improve your current advocacy campaign or to make next big moves for your cause, having all your information at your fingertips makes for faster and more informed decisions. Before you buy advocacy software, be sure to get all your questions answered. With this guide answering the most common questions, you’re all set to get started exploring deeper! Continue your research and jump into advocacy.